“She was destined to greater heights but unfortunately she is not with us, Now she continues to live in our hearts”, it was written somewhere on net about this magnificent singer and actress Jonki Borthakur. Her songs still touches million hearts. Unfortunately we lost her in an accident and we lost an artist with different. To keep her memories alive within us her brother Singer, Director turned Actor Zubeen Garg has establishes a Socio-Cultural club called “Abhinaya”. It provides different types of workshops and training on Acting and Dancing to Children. On 17th August 2013 they organized a play named “Kiman aaru Click Click Click” at District Library, Guwahati. This Cultural program was directed by Zubeen Garg, Diganta Bharati and Pankaj Engti. The planning of entire program was done by Designer Garima Saikia Garg. Now Abhinaya is planning to deliver its Winter Workshop to children (age limit 6 to 16 years). The Registration is starting from 8th December and the workshop will start from 20th to 29th December 2013.Personalities associated with this workshop are Zubeen Garg, Jyoti Narayan Nath, Rajesh Bhuyan,Sanjeev Buragohain, Zublee, Pankaj Engti,Bhaswati Deka and others. You can collect forms from its Office at Rajgarh. Abhinaya(2nd floor)Aparna Complex, Opposite by lane No -2, Rajgarh Road, Guwahati -3. 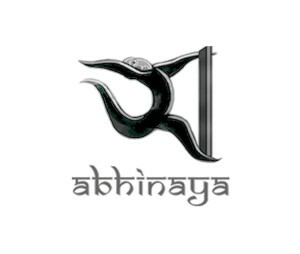 I want to get admission at abhinaya.what is the admission fees?? I want admission at abinaya. What should I do?? Comment: What should i have to do to get admission in Abhinaya ? Do u have any age limit in joining your academy?